This Indo-Chinese restaurant will surely satiate your cravings for some piping hot Chinese food. Nestled in RR Nagar, close to Channasandra bus stop, it is a small outlet with a few chairs provided as outdoor seating. They serve pure vegetarian Chinese food which is not routinely seen elsewhere, and it's definitely worth trying. This little eatery doesn't disappoint the Italian cuisine lovers either. They have some nachos and pasta items to choose from. Some items we ordered were the leefu momos, honey chilly potatoes, stir fry veggies, roasted noodles, and Cantonese noodles with gravy. I must say everything we ordered knocked our socks off and I repeated the same order the very next day. 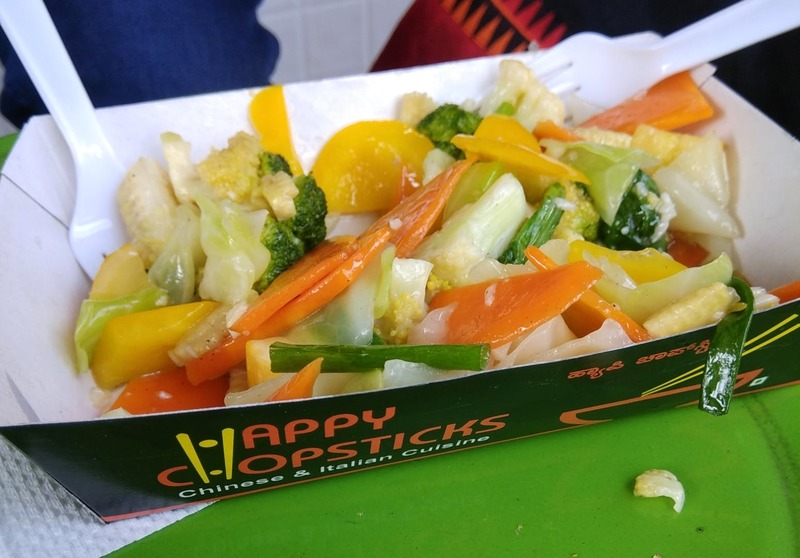 Their stir fry veggies are a healthy snack and the seasoning was spot on, a must-try. Cantonese noodles were the star of the day as it had a mix of crispy fried noodles and soft noodles with just enough gravy. They have another outlet in Basvangudi. The seating. It just has a few stools for the sea of people coming in.